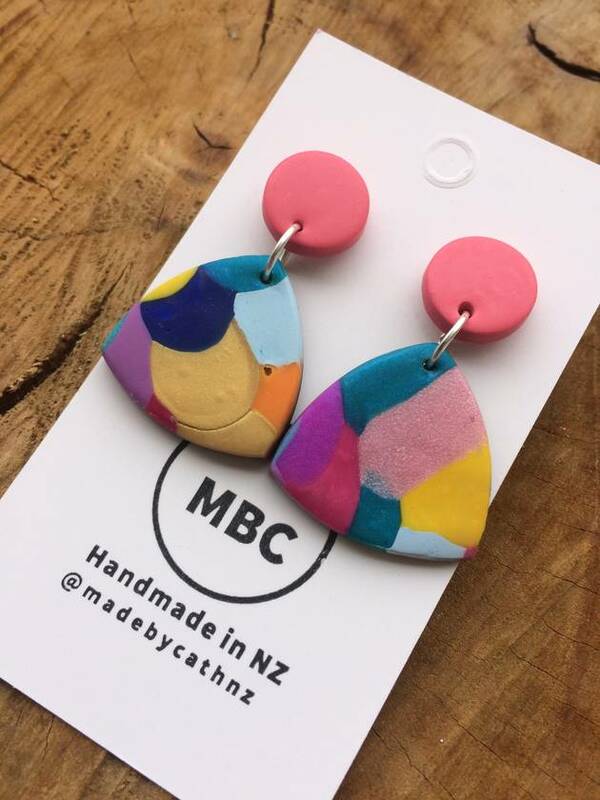 Handcrafted in NZ, these Stud Dangles are made out of Polymer Clay (Sculpey/Fimo). 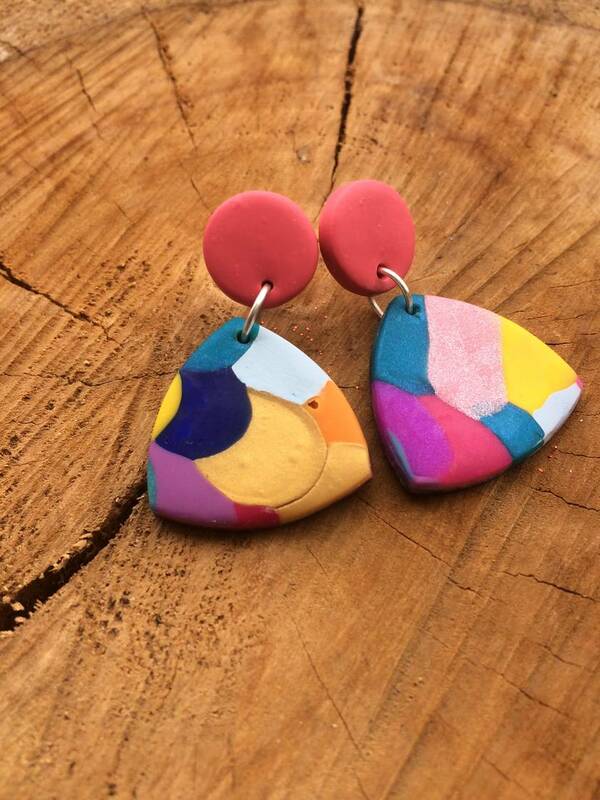 These are one of a kind Ear Candy. Fixtures - Backs - Hypoallergenic Surgical Stainless Steel. I recommend that you don’t get the backs wet, as water loosens the glue. These are very light to wear. 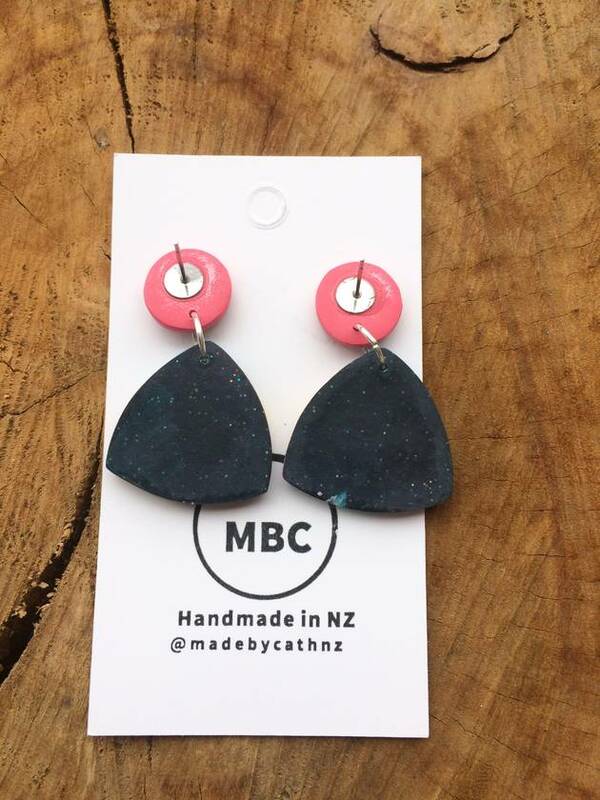 Shipping includes postage costs and the price of a box to keep your earrings safe. 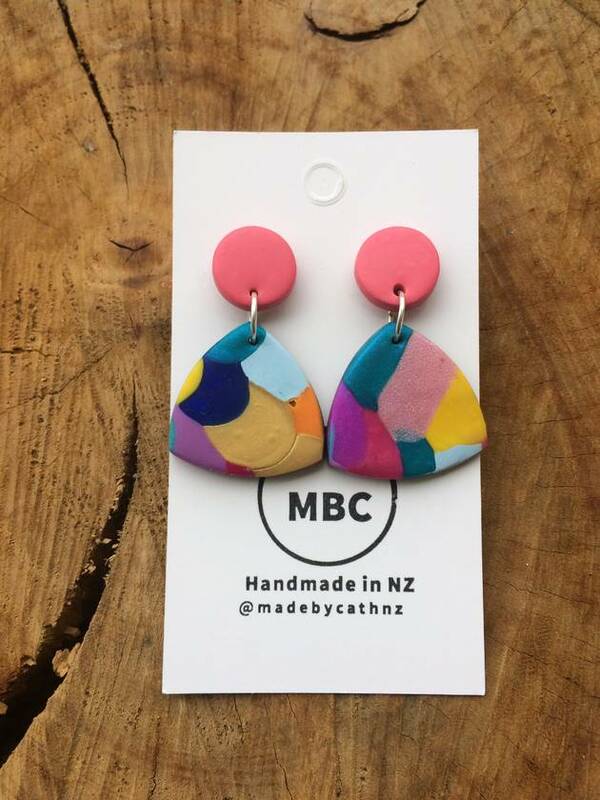 Contact madebycathnz to enquire about payment or shipping options.